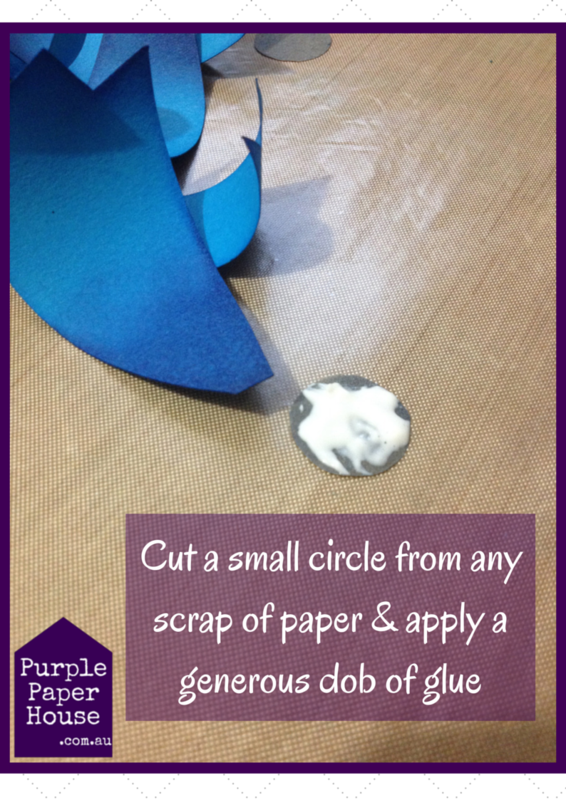 Do you hoard scraps of craft materials, for ‘one day’, like I do? I’m not talking largish scraps, but the little scraps from that last piece of lovely handmade paper, or that sequin fabric or that gorgeous mohair yarn – the good stuff! 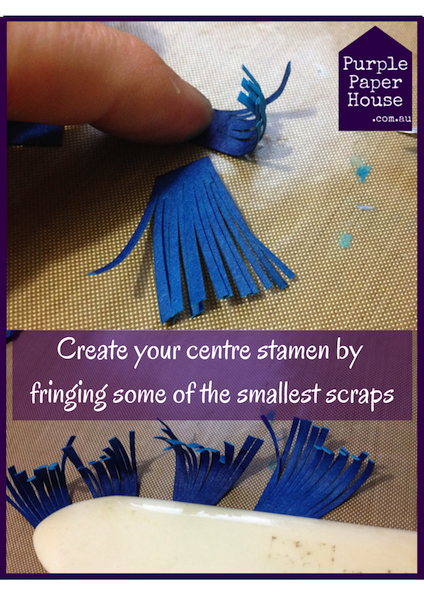 All the beautiful left-over materials that you just can’t seem to part with – yet! Well, I am guilty of hoarding some bits. A lot actually. But none of it is kept without a purpose in mind. Everything already has a designated wall space, shelf, room or person where it will one day end. 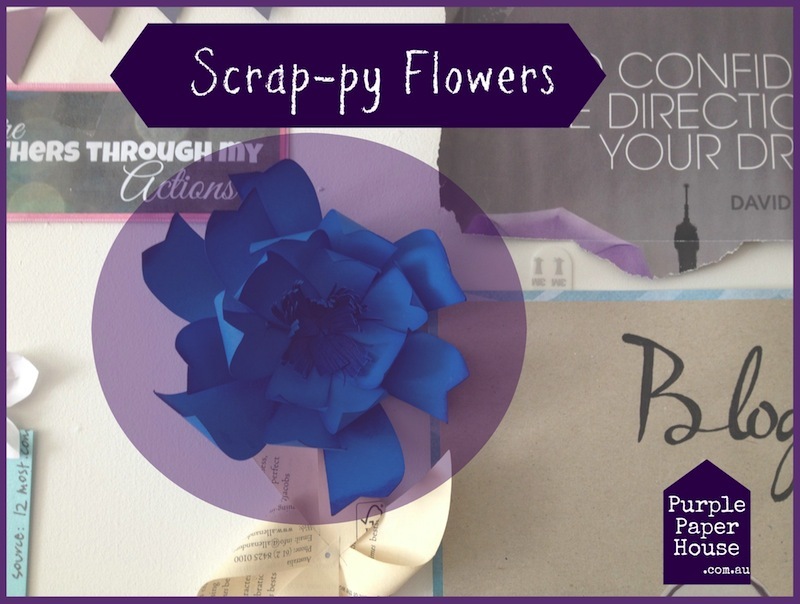 So I wanted to show you what I have done with my latest little batch of scraps – of paper – so you can get a little inspiration to perhaps repurpose and clear out some of your own scrap hoard. 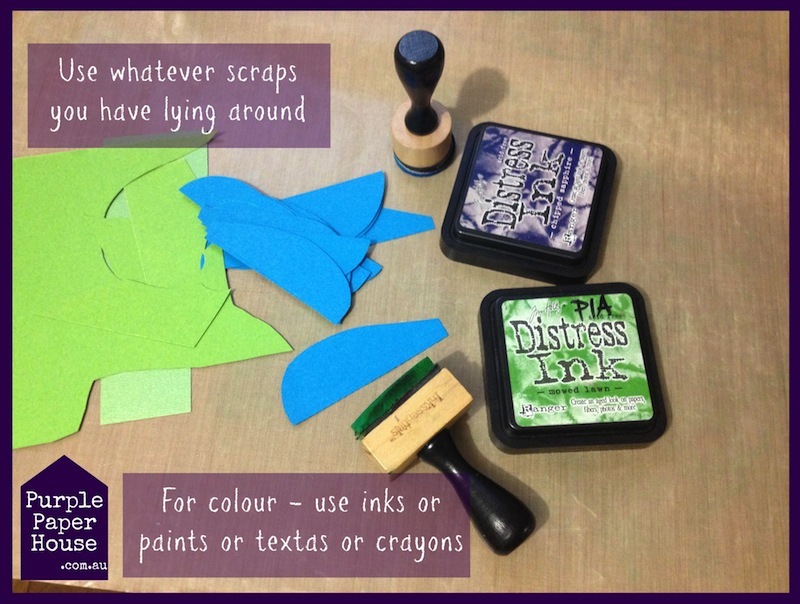 I don’t keep all my paper scraps, but these ones were just lying on my desk when I did a cleanup recently – so that’s what I used for this tutorial. Literally, they were just scraps I found. 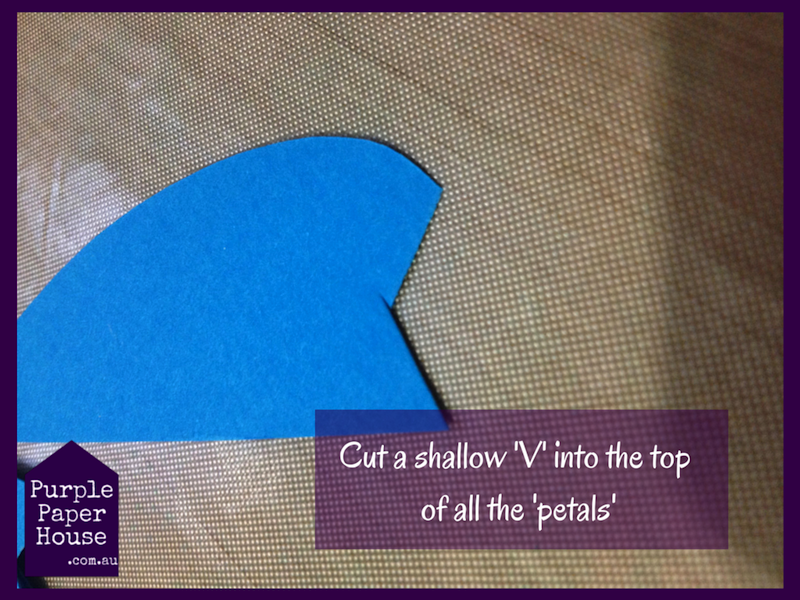 To make the petals more interesting, and therefore your final flower design, decide on a shape to cut them. I usually cut a ‘V’ shape, but sometimes a simple rounded edge looks beautiful. Play with different shapes until you find one that you love. 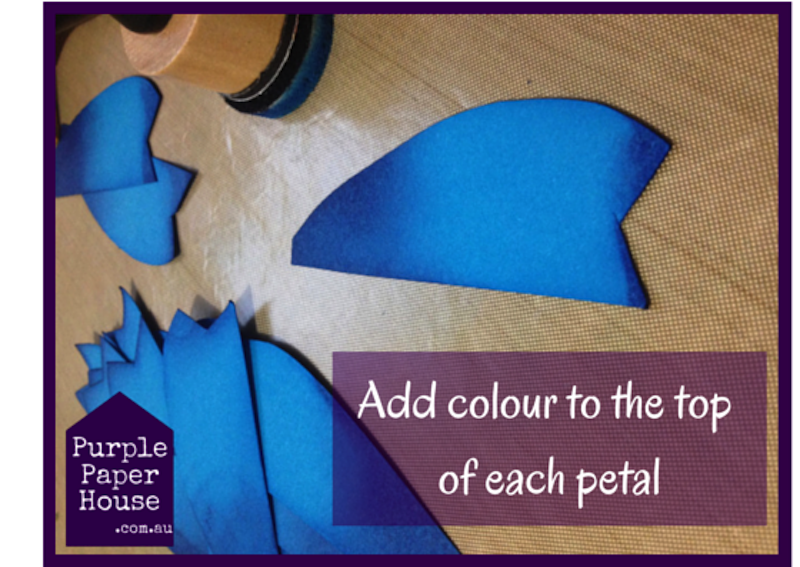 Now’s the time to add a little dimension to each petal, by adding colour to the top. I used Distress Ink + Blender Tools. 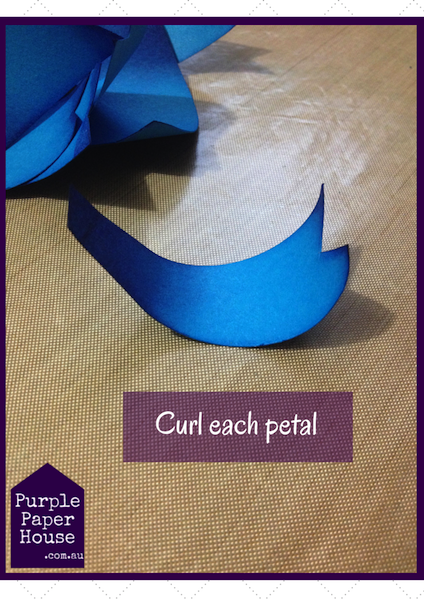 To give depth and further dimension to the flower, curl each petal. I used a bone scorer, but you can use the edge of the your scissors or the back of a knife or even the handle of a dessert spoon. 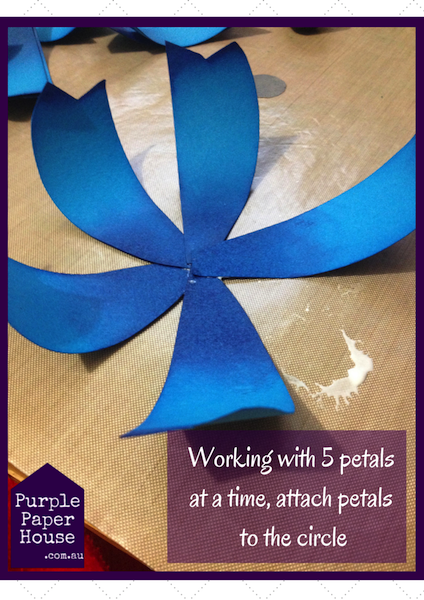 To start constructing the flower you need a small circle to attach all the petals to. 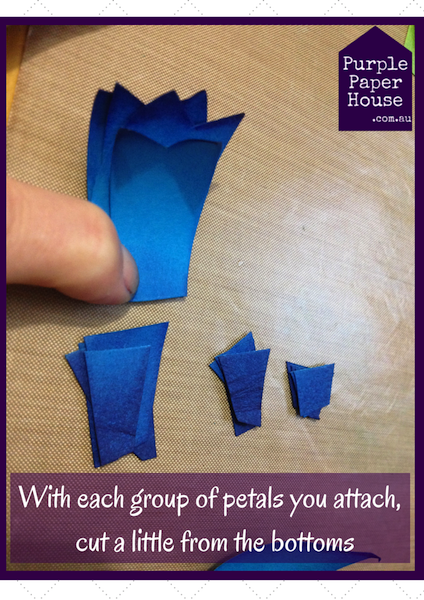 It doesn’t need to be very big – a 1cm diameter will be big enough. Cover it in glue ready to start attaching the petals. If you look carefully at the structure of a flower, you’ll see that there are an odd number of petals. Mother Nature is pretty cool the way she Creates symmetry and balance with odd numbers. A real flower opens from the inside out. This means that the outside petals are older and therefore larger. 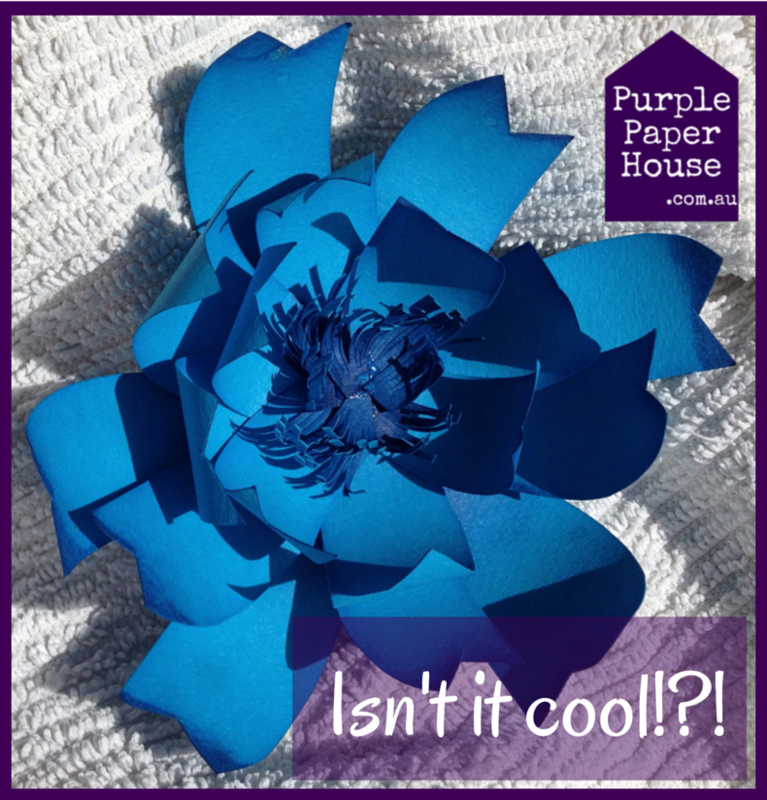 With your paper flower, making your layers shorter and shorter as you add them, makes the overall flower more realistic and more gorgeous. 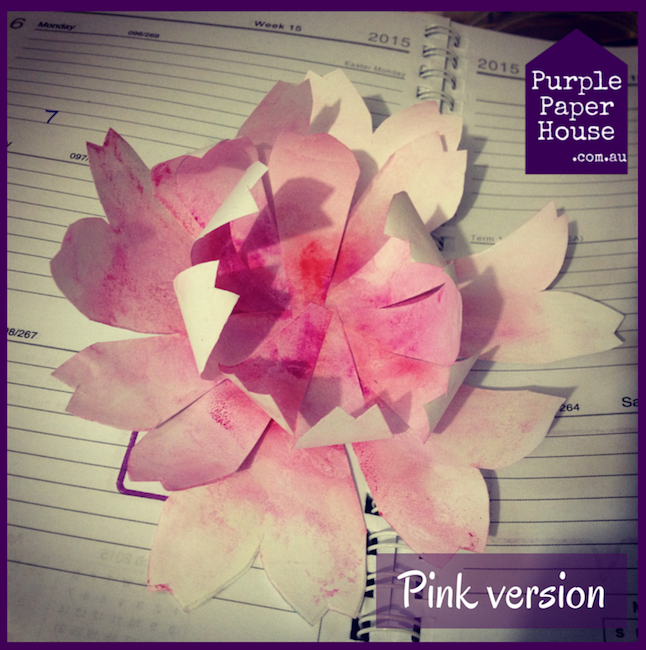 The final Creative touch is to make the centre of the flower (stamen). 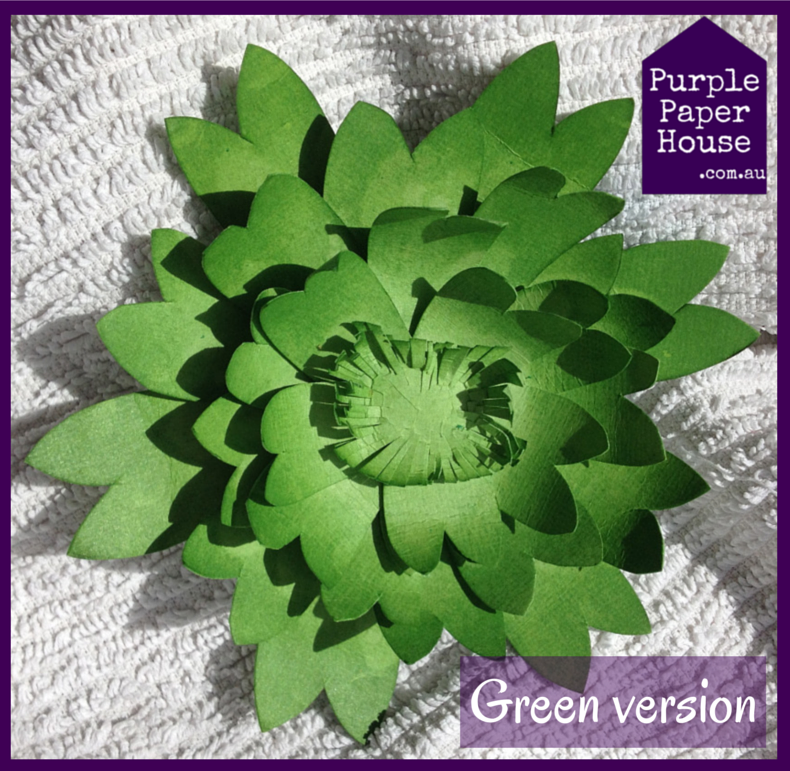 Use whatever little pieces you have left over and finely cut the edges – this just adds some extra texture and depth to the completed flower. Here’s another one that I made in green . . .
And pink . . .
I’d love to see what you Create. Share your loveliness in the comments. I’d love to see them.